Vickers, Adrian. A History of Modern Indonesia. New Yor, NY: Cambridge University Press. 2005: 85–112. ISBN 9780521542623. Yong Mun Cheong. 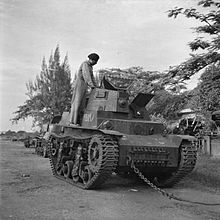 The Indonesian Revolution and the Singapore Connection, 1945–1949. Leiden, Netherlands: KITLV Press. 2004. ISBN 90-6718-206-0.